Unlike our competitors, we have all our own equipment and the resources to complete jobs from start to finish. We don’t use subcontractors, you can be confident that when you hire us, you are getting licensed, certified and insured technicians. We are a full service company that specializes in the petroleum industry, from Spills to delivery, if you are in the petroleum business we can help you. 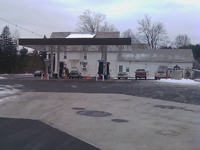 We are one of the leading Fuel Tank Installation and Service Companies in Vermont & New Hampshire. We provide petroleum services including environmental fuel tank compliance testing, fueling equipment services, construction services, and site development. 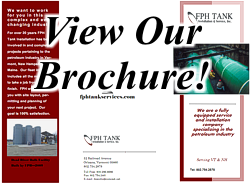 FPH specializes in the sales, service, installation, maintenance and repair of equipment for the petroleum retail, commercial, wholesale, and industrial markets. We offer a complete planning, project management, construction, and maintenance services. 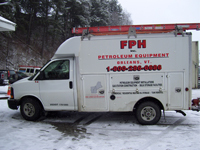 Whether you're a small gasoline convenience store or a large fleet management yard, FPH will handle your service and repair job in a prompt and professional manner. We keep your facility compliant by performing all State & Federal Tests requirements for tanks, dispensers, leak detectors, vapor recov-ery and much more. We offer consultation, price quotes and finance options for any work or maintenance at your facility. From your dreams to completion, we offer professional Architectural design, we work with local Zoning and permitting and we will Bring your plans to life. We have a complete fleet of equip-ment and staff that handles every stage of your project. You will never need contractors, we handle exca-vating of the site, all concrete work, tank installation, facility upgrade, signage and canopy erection. 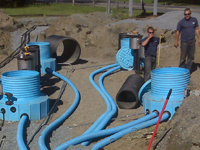 Our Technicians are trained in the removal of contaminated soils and installation and opera-tions and maintenance of remediation systems. To be assured all regulations have been met, we will provide you with reports and analysis. Our Experienced Hazardous Materials Team are on call 24 hours a day, seven days a week.